Computer skills which are necessary for everything from environmental monitoring to work management. Familiarity with mobile applications can also prove useful, as mobile tracking is increasingly prevalent throughout the industry. 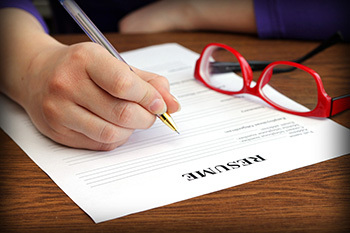 Career services specialists know how to make HVAC resumes shine. They can help you edit yours to meet the expectations of prospective HVAC employers. In addition to assisting with your resume, career services specialists can help you write or edit a confident cover letter that will appeal to potential employers. Tips for everything from submitting resumes to impressing employers during interviews. You can even conduct mock interviews and receive on-the-spot feedback. Providing numerous connections, which can prove quite useful as you launch your job search. For example, the career services specialists at The Refrigeration School cultivate a network of both nationwide and local Arizona-based HVAC employers. Help you identify invaluable references who can speak to your character as a student and your bright future in the HVAC industry. Additionally, career services can clue you in on upcoming job fairs and other networking events. If, after weeks or even months of searching, you have yet to hear back from prospective employers, double down and continue to perfect your resume and cover letter. Stop by career services again to see if there’s anything you can tweak. Searching for a job in any industry, even an in-demand one like HVAC, can be frustrating, but with persistence and a focused job search strategy, you can land the right position. Don’t get discouraged if you encounter a few early disappointments. Continue on with confidence and you’ll be a proud professional before you know it.